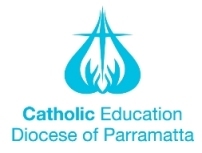 The cost for all (DoE) public and Parramatta Diocese Systemic Schools (K-12) up to a 60 student maximum per day is $2.50 per student. Bus hire is to be arranged at schools own expense. And are required to stay on site all day. The cost for all other private/independent schools is $15.00 per student; This will be reviewed on an annual basis and published on the PLEEC website. (Please Note: PLEEC bus transport (‘pick up and drop off’) service will only be provided to and from Penrith train station and local schools within the (10 minute maximum radius) of the Centre for a maximum of 24 passengers).